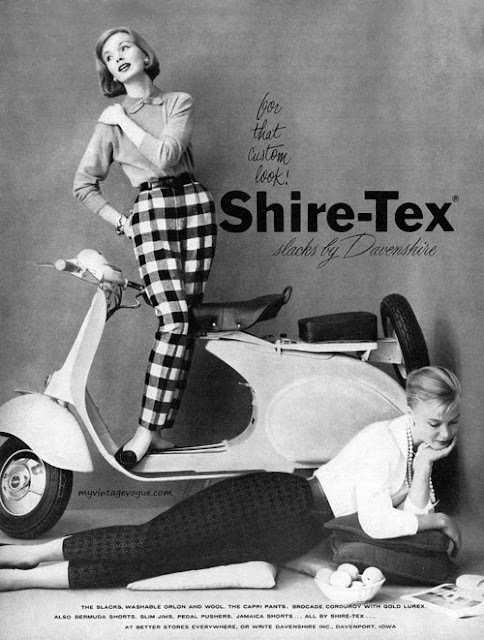 At the end of last winter, I bought a pair of 1950's high waist wool plaid pants. I was inspired when I did a shoot with a friend and she pulled out her very own vintage plaid trousers and I noticed how hip they looked. 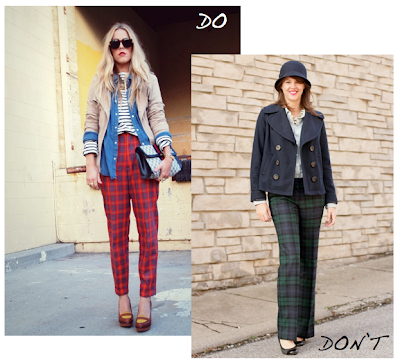 This fall I noticed an increase in plaid pants around fashion sites. It is safe to say that there is a plaid trend going around, and I am loving it. 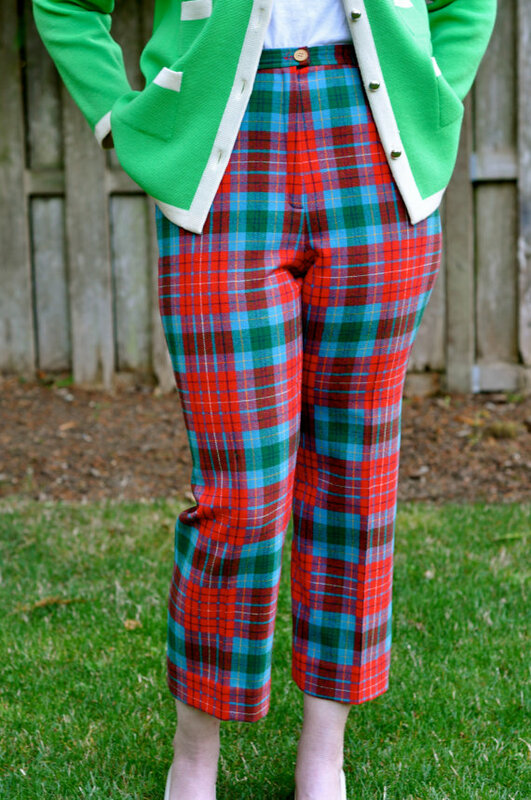 I even have a very Christmas-tastic pair of vintage Pendelton plaid pants for sale in the Etsy shop, I can't wait for a very stylish and seasonally spirited woman to buy them up. While I am now almost 6 months pregnant and my very own vintage plaid loves do not fit. I am waiting for the next opportunity when I can wear them. Even if the trend fizzles by next year, I will still pull them out. I love that there are so many different styles and color options when working with plaid. My tip: choose out of the ordinary color combinations to make a statement. 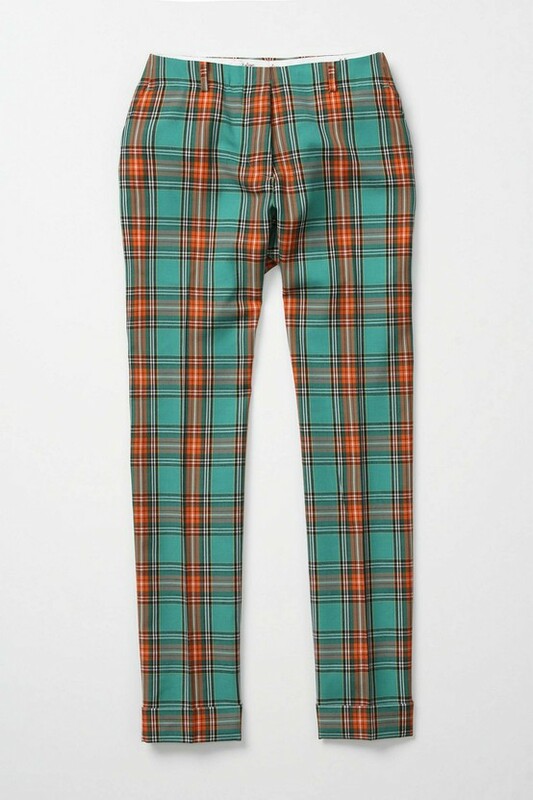 Despite the beauty of the print, I think the most important thing to remember when you decide to pull off a pair of plaid pants is to not overdue it. While it is a very 1950's style, you can make it a little more hip while still sticking to it's classic appeal. 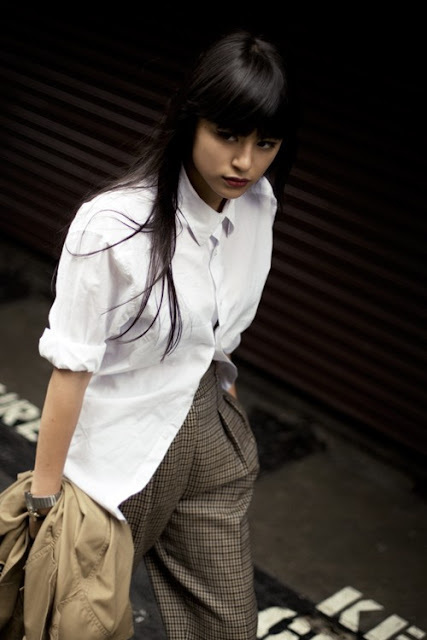 This definitely can be a "boyfriend" or as I prefer to call it, menswear inspired look. Most importantly, avoid giving your outfit that innocent feel. By that I mean, if it reminds you of a ten year old prep school boy decked out in Jacadi, then think again. I would pair plaid pants very cautiously with pea coats and avoid goofy hats in general. I honestly think there are two (that I will mention) ways to pull them off. The first being to take them to a fabulous level of classy (I'm thinking a more vintage Jackie O feel with the perfect ballet flats, stylish cardigan and blouse). To avoid looking safe, add to the drama by choosing a color in the plaid pattern to overplay in a pair of shoes. Top that look off with a dramatic rhinestone necklace and the look will have a very preppy, J.Crew feel. The second way I see the plaid pant working well is in a more edgy look. A pair of dramatic heels (I've got the spiked Valentino, ankle strap kitten heels in mind). 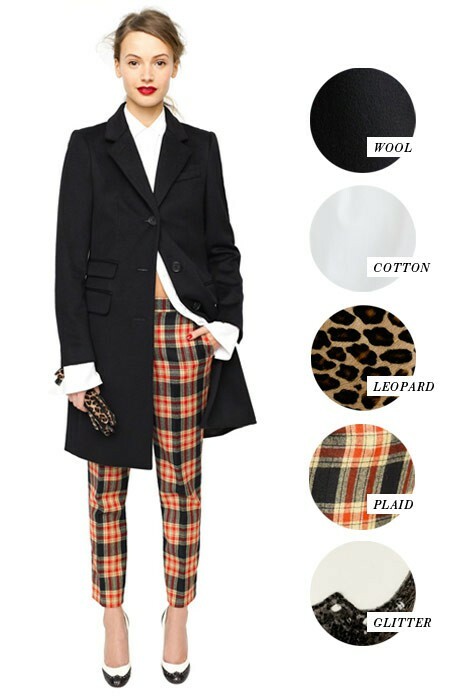 A loose fitting blouse, or a tucked in dress shirt (possibly a mens tuxedo style) and a very trim blazer or leather jacket for more contrast. A way to spice up any plaid look is to mix prints. Don't be afraid to go all out and add a leopard piece, glitter details (like the rhinestone necklace), opposing stripes or simply a nautical t-shirt. I'm definitely a fan and want to see more bold and beautiful women pull off this trend. I agree... so stylish. 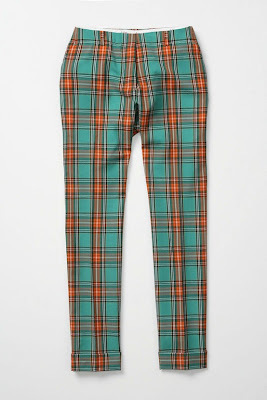 I'm also a big fan of plaid pants. I love them... ever since Run Lola Run came out, I've always loved them! Loved Run Lola Run. Definitely brought out some great plaid. I think they are great, glad you agree!